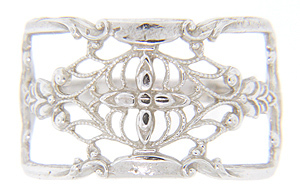 This wide open filigree ring is crafted of 14K white gold. 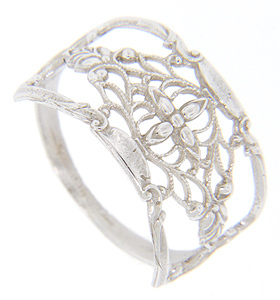 The antique style cigar band features a floral design and measures 11.75mm in width. 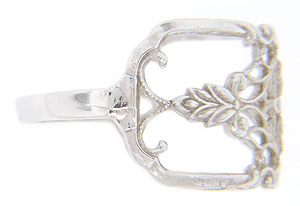 Size: 6 1/4. We can re-size.